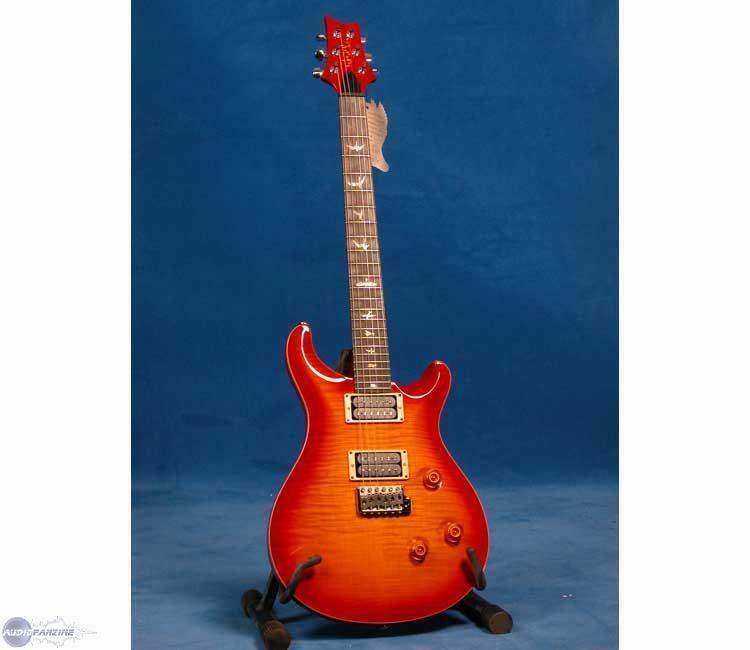 Custom 24 Birds Cherry Sunburst, Other Shape Guitar from PRS. Two microphones of the brand, with a huge potential 5-way switch. I repeat round of thunder. Access to acute is qu'aisé. The guitar is quite heavy but very well balanced. The sound palette is huge, hard to not find something, whatever the style attack. From blues to metal, anything goes. Even 9/10 to stop the body that shears a little forearm at the beginning ... then, adjusting its position and it passes. It suits my style of music, from classic rock to metal close. I only play on the pedal (no pedals) and if possible analog. HT distortion dual tube, Vox Night Train amp head and as a Marshall 1912 cabinet. I love all the sounds with this guitar ... I have 4 years, it's always a pleasure to play with .... I raves whenever I take! Before I had a BC Rich Warlock, a Ibanez JS1200 ... I currently have a Fender American California and Lag Roxanne. I wanted to complete my chain in 2009 with a small versatile guitar ... budget € 600. 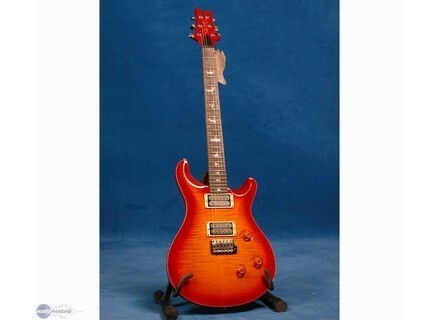 Unfortunately, the seller made me try the PRS Custom 24 .... love at first touch. I tested during week long many other guitar but the damage was done, it was this one and not another .... € 2,000 more than expected (on a model expo) ... no regrets, a real treat!